A Japanese Porsche enthusiast by the name of Takeshi Kitano decided to take his love of the 959 and transfer it onto a Porsche 997 Turbo. The result, what he calls a Porsche 979, leaves a bad taste in my mouth. Details are kind of sparse on the mechanics and updates to this "enhanced 959". For all we know it's just a body kit. Check out the pictures below. It seems to me, given the expense that obviously went into this abomination conversion that Takeshi could have afforded the real thing without reaching too far. After-all, let's not forget that this Porsche 959 Prototype that just sold for $440k. What do you think about Takeshi's 979? cool car any sound, video? There’s a video floating around out there (it’s in Japanese). We’ll find a link and post it for you. 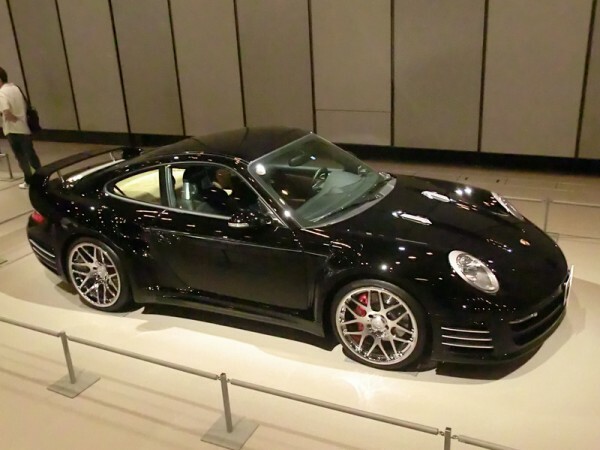 Just looks like a bad customization of a 997 Turbo. Why would anyone want to do that when as Pepper Girl has said the real McCoy sold for $440k. Don’t like it at all.